You may have heard about feng shui design for your home to cultivate balance between the different spaces, but did you know the principles of feng shui aren’t reserved solely for the home? The practice of feng shui can be used in your outdoor landscaping as well! Finding landscapers in Walpole can seem tough because our region boasts some of the most beautiful native plants and botanics, and not just anyone can care for them! 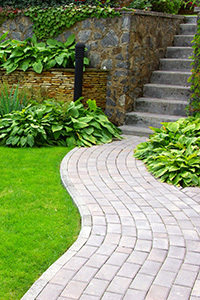 At Acres of Green, turn to us for our landscaping knowledge and our artistry to procure a lush, green lawn! 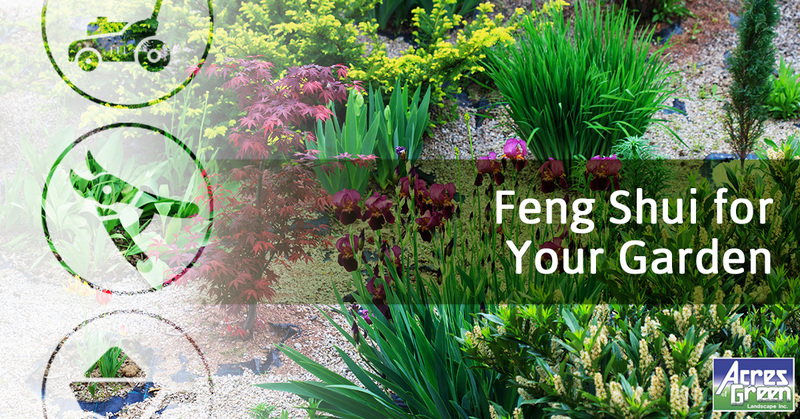 Follow along in today’s post as we delve into feng shui for your garden. The guiding principle of feng shui is to meld harmony and balance to your outdoor space where energy can flow throughout. The feng shui has created what is known as the “bagua” as a kind of roadmap on how to decorate or design certain spaces, and this translates to your landscaping and garden as well. Each area correlates with the five elements which guide you towards specific decorative pieces. Find out more about the bagua here. Get the Chi (qi) moving! Chi in the Chinese theory is your life force or the energy that flows in and around us, so naturally you want your landscaping to move in a natural way so the energy can move freely and smoothly around corners and pathways. Because straight lines are rarely seen in nature, they’re to be avoided in garden feng shui — let your lines be flowing and relaxed. Think of the areas of the bagua that were listed above and find pieces that you can put around to magnify that energy. If you’re looking for love, try planting vibrant pink flowers or place a heart shaped medallion in the area. If you’re looking to grow your wealth and abundance, a water feature with golden bells will help to draw in those energies. In feng shui, working with color directly correlates with the five elements — so when you choose the right color that fits with the element in that bagua, you can begin to usher in specific energies. Emphasize the fire element in the south with red, orange, or purple flowers or decorations, and for earth in the southwest choose yellow or greens. Feng shui is for all gardens, big and small. When you begin to implement the all the pieces of feng shui and combine it with your good, healing energy, that energy will be echoed back to you and your home. A few ways to get started is to use natural, flowing lines, understand the bagua and the elements and colors associated, and meeting the space with joyful energy! Have fun with feng shui and creating an outdoor space that you love. For premier landscapers in the Walpole area versed in plants native to the area and superb lawn care services, schedule with us today!